Black with gold horizontal stripe, black cuffs and collar. 100% cotton fashion weight. Gold embroidered “CRFU” (Cornish Rugby Football Union) and Cornish tin mine emblem. Cornish Colours rugby shirts were introduced in 1885. 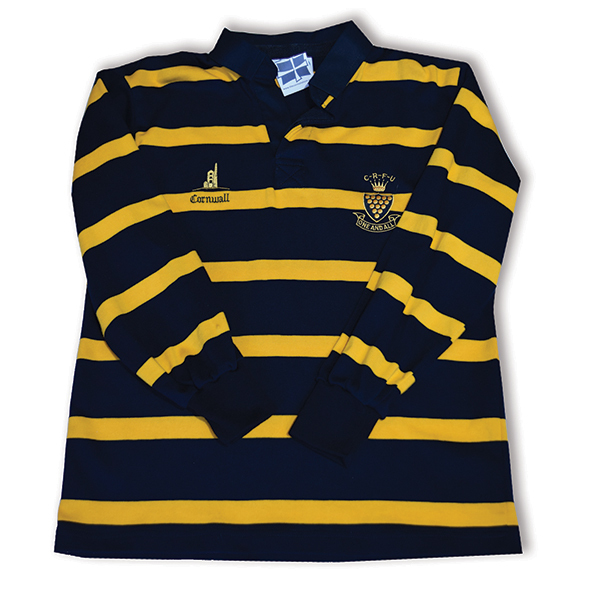 Wearing this shirt links you to Silver Medal winners – the only county side to represent GB at rugby in the Olympics (1908) – 13 times County Championship finalists – Tony Cook – Roger Hosen – Brian “Stack” Stevens – Nicholas Tregurtha and many more great players.